Welcome to the second edition of rongeorge.com. I stopped blogging around 2002 and am just now finding the time to do it again. This site will basically just be a place for me to dump ideas, photos, code samples, and other IxD review types of things. The question I get asked the most, “what software do you use?” will also be answered here … laboriously and over time but I will detail out each piece of software that I have accumulated over the years. I am a former Marine (Semper Fi!) and I do Experience Design. I have 2 cats (the best pets a techie could ever ask for) and I live in Kirkland, Washington which is just on the East side of Seattle and right by Microsoft Campus. Incidentally I live about 3 blocks from the new Google Campus as well. 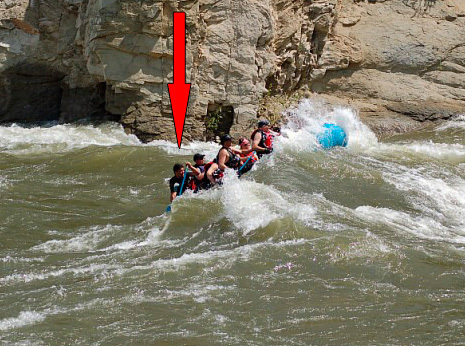 On the weekends I am a whitewater rafting guide in Leavenworth (during the summer only). I like to sketch, paint, and takes tons of photographs. I spend way to much time in Photoshop for it to be healthy. 🙂 I game every now and then on the PC and sometimes on the XBOX when the XBOX team throws me free DVDs. When I am not designing, I am probably …. either way, I am probably happy. I hope you are too in whatever you do. To be honest, thats the best anyone can hope for.